Gail entered college with the goal of becoming a doctor, but after realizing her passion for the hair and beauty industry, she decided to change her major to business and then go to cosmetology school. Since graduating from both the University of Wisconsin at Madison and cosmetology school, Gail began intensive training at a local Aveda Institute, perfecting the Aveda hair cutting and coloring techniques, Sebastian updo training and TIGI Collection training. Gail is currently working at Bliss salon in Columbus, Ohio while perfecting her craft as a stylist. Image and bio courtesy of Bravo. Dee stepped foot in the industry 10 years ago, and hasn’t looked back since. She began her career by working as a computer graphic artist for Paul Mitchell Distributor in Miami, and today she is a “Task Force” and “Premiere Member” for John Paul Mitchell Systems, which entails teaching and coaching other Paul Mitchell educators on the latest trends of cut and color. Dee also owns Hair by Dee, an educational service that provides one-on-one styling skills and personal training to salon staff and individuals. Dee also spends her time as the Art Director and hair designer at Peter of London Salon and Spa in Miami. At Peter’s, Dee oversees the education and structure of the salon, as well as the marketing and promotion. Dee has been published in Cut and Dry Magazine and Modern Salon, and says her real joy is seeing people smile. Daniel grew up on a farm in a small town just outside of Tallahassee and began to do his parents hair at the age of nine. He originally decided to pursue interior design, but realized that styling was truly his passion. Daniel went to graduate from cosmetology school and moved to London to train with a company that styled hair on a cruise ship, and went on to split his time between London and a ship in the Bahamas. Eventually he returned to Florida where he opened two salons and began doing freelance work around the country. After tiring from the hectic freelance schedule, Daniel settled in Dallas and opened a third salon, Green Peridot, where he currently works. Charlie has spent the last twenty years perfecting his craft of hairdressing. His love of fashion led him to Milan and New York where he studied under legendary runway hairstylists Guido, Serge Normant, and Eugene Soulieman. It was then that he had the privilege to work backstage at the runway shows of legendary designers Calvin Klein, Ralph Lauren, and Marc Jacobs while in New York, and Prada, Miu Miu, and Dolce & Gabbana in Milan. Charlie has also worked as lead stylist creating runway looks for designers Jeremy Scott, Peter Som, Catherine Malandrino and Matthew Williamson. 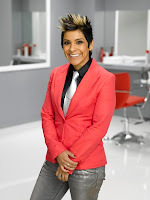 An award-winning stylist, he has been nominated for the International Stylist of the Year five times by the Canadian Mirror Awards and was officially named International Stylist of the Year in 2002. He was also nominated for five North American Hairstyling Awards including Master Stylist of the Year in 2007 and North American Hairstylist of the Year in 2002. Charlie co-owns Click Salon in Denver where he lives with his family and boyfriend, Salvador.